﻿ Dysart Boutique Hotel Cape Town. JIMAT di Agoda.com! Ada soalan mengenai Dysart Boutique Hotel? Menawarkan penginapan yang berkualiti tinggi di daerah beli-belah, restoran di Cape Town, Dysart Boutique Hotel merupakan pilihan popular untuk kedua-dua tujuan perniagaan dan percutian. Hotel ini terletak 2.5 km dari pusat bandar dan menyediakan akses kepada kemudahan bandar yang penting. Persekitaran yang terjaga dan kedudukan berhampiran dengan Stadium Cape Town, Green Point Track, Stadium Green Point memberi hotel ini daya tarikan istimewa. Di Dysart Boutique Hotel, segala usaha dilakukan untuk membuatkan tetamu berasa selesa. Oleh yang demikian, hotel ini menyediakan perkhidmatan dan kemudahan yang terbaik. Hotel ini menawarkan Wi-Fi percuma semua bilik, pengawal keselamatan 24 jam, pengemasan harian, khidmat pos, khidmat teksi untuk memastikan tetamu menikmati keselesaan yang terbaik. Hotel-hotel telah direka demi keselesaan dan memudahkan tetamu. Sebahagian bilik menyediakan televisyen skrin rata, rak baju, kopi segera percuma, teh percuma, minuman alu-aluan percuma. Sepanjang hari anda boleh menikmati suasana yang santai dengan padang golf (dalam jarak 3 km) , kolam renang terbuka, taman. Nikmati perkhidmatan yang sukar ditandingi dan lokasi benar-benar berprestij di Dysart Boutique Hotel. Umur minimum tetamu ialah 18 tahun. 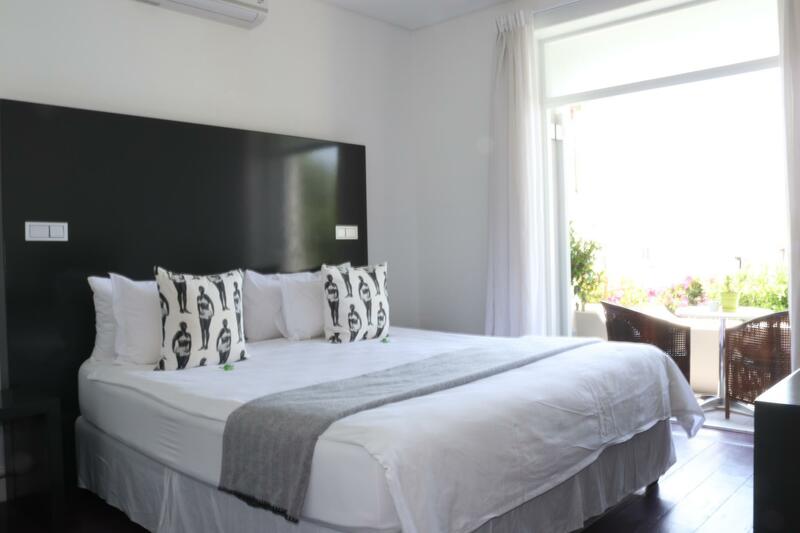 Lovely gorgeous boutique hotel with pool long enough to do short laps in, wonderful terrace up on hill overlooking the harbour, very spacious tastefully decorated rooms, mid century modern. Private little outdoor terrace, bathroom also has outdoor garden next to it , big shower, good toiletries. Fridge. Safe. 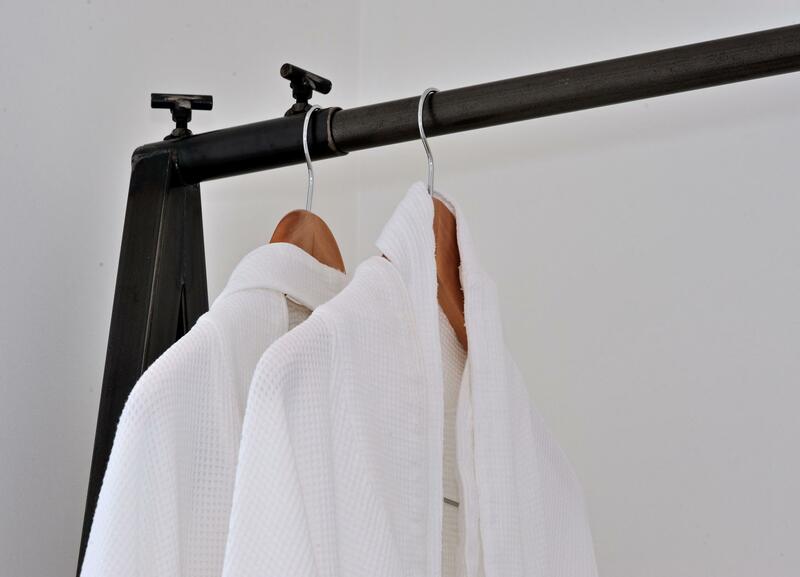 Superclean, crisp white fresh linens. Excellent made to order breakfast plus buffet with sauteed veg, pancakes, cheeses, meats, boiled eggs, even smoked salmon. Fresh pastries, good bread. Owner, manager, night staff all extr friendly and helpful. Fantastic decor! Wish I could have stayed longer! This small hotel is beautiful, the staff couldn’t have been more welcoming, friendly or helpful. We had a delightful stay, that we wish we could have extended. Breakfast was varied and delicious. Our room was immaculate every day, and the bed was incredibly comfy. Location is great, short walk to the V&A waterfront and convenient for the city bowl. There’s so much to do in Cape Town but we still managed to squeeze a late afternoon chill in by the lovely pool with a nice bottle of wine. Special mention to Martin and Dennis, who were great hosts and to Daisy the cat for being so sweet. We loved Dysart’s staff, position and how beautiful the pool area is. We had a private courtyard off our bedroom which was also very quaint. Thank you guys. Staff were wonderful; helped me get settled and helped me to park my car, which was no small thing. Breakfasts were great and unlimited coffee tea, etc. Just a great place. Best staff, awesome breakfast, clean room. I was in Cape Town for business but didn't want to stay in the CBD so spent the night here - the room was gorgeous and the bed so comfortable. Breakfast was superb. The staff were all really lovely and accommodating. It's also a great location if you're a keen runner as Parkrun starts just a few metres down the road! Rooms were very noisy - you could hear the bell ringing in the middle of the night. Staff was not very helpful, we got stuck in line in table mountain so arrived quite late without having dinner (at around 10pm). We asked the guy there if they could help us find a delivery that worked late or give us some fruit from the breakfast because we were starving, and he said no. He was also a bit nosy, asking questions like: "Why did you rent a car if its more expensive than taxis?". In the end, he cancelled our wine tour and booked us another tour that was supposed to be "cheaper", but in the middle of the road the driver said he wanted us to give him more money, it was scary. Nice disgn hotel with very friendly staff. Very careful and superb service. Love the breakfast and people in the hotel. This was a very enjoyable stay made even better by the attention to detail and excellent one to one service. I will be back for sure. Wir waren zum 3. Mal hier und kommen sehr sehr gerne ein 4. mal wieder. Zimmer sind grandios, sehr sauber und mit Safe. Das Frühstück war ebenfalls fantastisch, der Kaffee war spitze. Auf jeden Fall sehr empfehlenswert. 너무 깨끗하고 위치도 좋고, 안전하고 친절한 호텔입니다 아침식사도 맛있고 기분좋게 해주는 곳이에요 ^^ 강력추천합니다. 또 가고 싶은 호텔이에요!! Nos recibieron con una sonrisa, el desayuno muy completo y nos recomendaron excelentes restaurantes para cenar.